As a statewide trade association working with industries and technologies impacting our nation and the world at-large, over the years the Mobile Technology Association of Michigan (MTAM) has formed a number of relationships with national and international associations that help us better service the needs of Michigan, and help us have influence on a national and international level. One of those relationships is with The Alliance for Transportation Innovation (ATI21.org), an organization committed to accelerating the adoption of innovative technologies that will transform the safe and efficient movement of people and goods. Recently we became aware of an article written by Paul Brubaker, President/CEO of ATI that appeared in The Hill’s Congress Blog which provides an overview of the recently released U.S. DOT series of rules and guidelines for autonomous vehicles. As Paul indicated, this long-awaited guidance was welcomed by the industry, but on closer inspection made obvious the need for a 21st century regulatory approach and the active participation of the tech community in providing input as these regulations continue to evolve. We encourage you to read Paul’s article. The U.S. DOT has established a 60-day comment period for stakeholders on this issue to voice their concerns. ATI has called upon every stakeholder in the technology and transportation community to take advantage of this opportunity to have input on this matter. We at MTAM, would like to add our voice to ATI’s message. We also encourage everyone involved in the connected transportation eco-system who will in any way be impacted by the final decisions reached on this matter to ensure that your input is heard. Keep in mind the lives that will be saved – and the new jobs we’ll be creating – if we get this right! Michigan is the global center for the automotive industry, and is now tasked with positioning itself as the center for Advanced Mobility and Connected Vehicle Technology, and nowhere is this more evident than at today’s MICHauto Summit 2015. Over 400 participants gathered at Cobo in Detroit to interact on the challenge to promote, grow and sustain the leadership position of their own firms, and that of the state as well, in the emerging connected culture shaping Michigan’s future. How we respond and adapt to the challenge, and work thru such obstacles as talent shortages resulting from the need for tech talent in every industry – including automotive – will shape our leadership position for future generations. This year’s MICHauto Summit was made possible by sponsorship from over 60 organizations including: UMTRI, MDOT, MEDC and more. 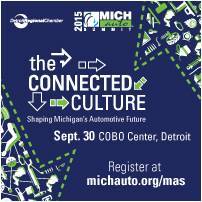 The Mobile Technology Association of Michigan (MTAM) was a media partner for the event. Michigan impacts the auto industry by having 23% of the assembly market with its 13 assembly plants, over 600 R&D Design Centers, and serving as the home for 61 of the top industry suppliers. Michigan is leading Testing, Research and Design Services in the global vehicle market at a greater density than anywhere else in the world. MICHauto Summit participants included top executives from transportation, technology and government as well as students from across Michigan. It was exciting to see the event’s focus on the future and the youth that will be shaping that future. TechStars Mobility’s Ted Serbinski did an excellent job of explaining TechStars’ initiatives in Detroit, including the organization’s purchase of a house in the city where participating company teams actually live together during their time at TechStars while they build their firms. 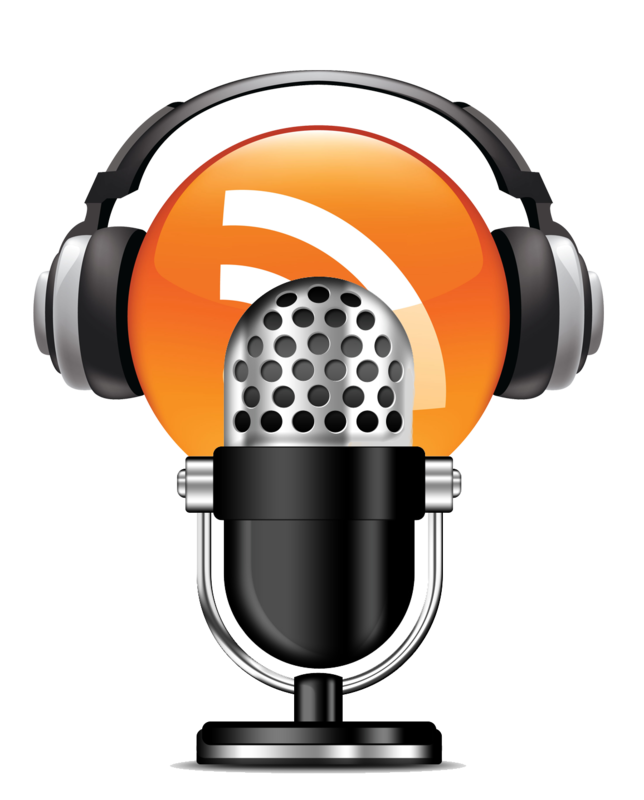 Stay tuned to MTAM blogs, podcasts, emails and social media for more useful information and resources! 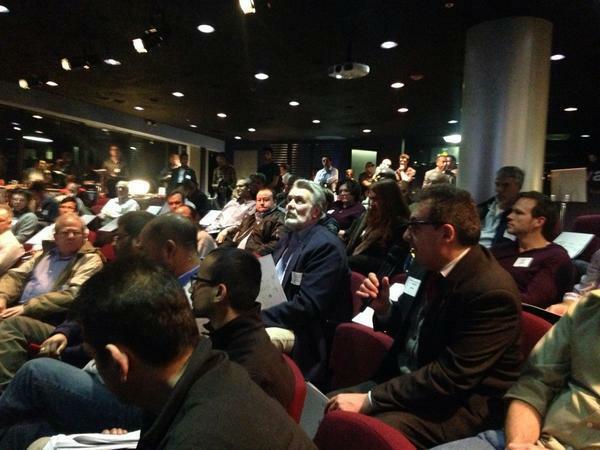 This MICHauto event re-cap was submitted by MTAM member and Ambassador, Mike Blicher of MCBNetwrx and Autotalks who was one of the MTAM representatives attending today’s MICHauto Summit 2015. Mike is also a member of MTAM’s statewide ‘Mobile in Transportation’ Advisory Council. A surprise to many in Michigan, and across the globe, is that the State of Michigan is becoming a ‘go to’ place for those engaged in providing or utilizing mobile/wireless technologies – in any industry. The state is experiencing tremendous increases in the utilization of these technologies across many industries, including: automotive and other transportation sectors, healthcare, entertainment, government, real estate, consumer products, energy, banking and much more! The increased focus on these technologies is resulting in even more surprising numbers of jobs being created. See many of the stories about Michigan’s engagement with these technologies HERE. Every mobile/wireless tech-related position created in the State of Michigan also creates 6.54 additional jobs in the state. In comparison, according to the same study, a job created in the automobile manufacturing industry creates 5.92 additional jobs for the state. The average compensation for a mobile/wireless-related position in Michigan is over $89,000 annually, which is an increase of 48% from 2011 when the study was last completed. If MTAM can help the state achieve the association’s target goal for Michigan mobile/wireless-related job creation of 9,250 new jobs by the end of 2020, then according to the results of this study, Michigan will also have benefitted from the creation of over 60,500 additional jobs in the state and over $3 Billion in new annual salaries / wages for Michigan residents. The state is experiencing this growth due to the utilization of these technologies across many industries. This expansion of industries using mobile/wireless tech in new and exciting ways will continue. For the first time, job creation in Michigan driven by the increased use of mobile/wireless tech has surpassed jobs being created by our historic ‘main’ industry (automotive manufacturing); this presents an opportunity for economic diversification that has not previously been available. There is tremendous opportunity for success available to Michigan residents who choose to remain in the state to launch careers or start businesses involving these technologies. Financial success in mobile/wireless tech-related careers or businesses DOES NOT require relocation to the Silicon Valley or anywhere else, in fact, a much higher standard-of-living can be achieved here in Michigan due to the significantly higher cost-of-living in the Silicon Valley and other perceived U.S. ‘tech hot beds’. As an example, Michigan’s average mobile/wireless-related compensation of $89,000 annually would require a Silicon Valley salary of over $158,000 to achieve the same standard-of-living. There is a strong mobile/wireless tech community in Michigan made up of representatives from all sectors of the eco-system; opportunities for collaboration, education and business development are driven by MTAM and its Mobile Monday Michigan subsidiary chapters in Detroit, Ann Arbor, Grand Rapids and Lansing. “Michigan has an opportunity to become the ‘go to state’ for mobile/wireless technologies, particularly with regard to their use in the enterprise and the education opportunities we can provide,” states MTAM Executive Director, Linda Daichendt. To learn more about mobile/wireless-related work being done in Michigan and the opportunities that provides for the state’s businesses and residents, we encourage you to review the PowerPoint below, visit our website at http://GoMobileMichigan.org/MobileInMichigan, or contact us at info@GoMobileMichigan.org to be involved in making Michigan the ‘go to state’ for mobile/wireless tech or with any questions you may have. We at MTAM would love to help you take advantage of the mobile/wireless tech opportunity! MTAM is a non-profit trade association for Michigan’s mobile/wireless technologies, the firm’s who provide them, and the firm’s – in all industries – who use them. The organization’s mission is to facilitate conversation/collaboration between varied sectors of the mobile/wireless eco-system and serve as the bridge to enable diverse organizations to understand each other’s perspectives and needs in order to drive new innovation and opportunities involving these technologies; to increase the use of Michigan-based mobile/wireless technology products and services in-state, nationally and globally; to increase the productivity and profitability of every industry vertical in Michigan via the use of these technologies; to create sustainable jobs and increased entrepreneurial opportunities in the state based on the use of these technologies, thereby achieving substantial growth of Michigan’s economy; and to help the communities we serve via the use of these technologies. Information about MTAM can be found at GoMobileMichigan.org. To help Michigan’s mobile/wireless tech industry understand the needs of the healthcare community and the business growth opportunity that mHealth provides for their firms, the Mobile Technology Association of Michigan and Medical Main Street, powered by Oakland County are jointly presenting the 2015 MTAM Mobile Health (mHealth) Symposium for Mobile/Wireless Technology Professionals on April 23rd at Nextwave Accelerator in Troy, MI. This half-day event, also sponsored by SilkRoute Global and RF Connect, begins at 8:00 a.m. (with a continental breakfast at 7:30 a.m.) and features leading healthcare experts from across the state who will share their thoughts on what the healthcare industry needs from all sectors of the mobile/wireless tech community, and what the future holds for the potential growth of mHealth in Michigan, nationally and globally. Registration is available at http://dld.bz/MTAMmHealthSymposiumReg. MTAM members can register for $35, and non-members for $45. Seating is limited and registrations will not be taken on-site at the event. Opening remarks will be offered by L. Brooks Patterson, Oakland County Executive and Founder of Medical Main Street. With analysts projecting global mHealth market revenue to exceed $49 Billion by 2020 (Grand View Research), the healthcare industry provides a substantial market opportunity for mobile operators, device manufacturers, mobile app developers, healthcare equipment manufacturers and more. Medical Main Street, powered by Oakland County, is a collaboration of world renowned hospitals, universities and healthcare and life science companies in Southeast Michigan. Together, we’re creating a global center of innovation in medical research and development, education and commercialization. Created by Oakland County Executive L. Brooks Patterson in 2008, the Medical Main Street board includes: Barbara Ann Karmanos Cancer Institute, Beaumont Health System, Beckman Coulter Molecular Diagnostics, Crittenton Hospital, Detroit Medical Center, Ferndale Laboratories, Henry Ford Health System, Housey Pharmaceutical Research Laboratories, McLaren Health Care – Oakland, MichBio, Oakland Community College, Oakland University, Oxus Inc., Priority Health, Rockwell Medical Technologies, St. John Providence Health System, St. Joseph Mercy Oakland and Stryker. DETROIT, MI – The Mobile Technology Association of Michigan (MTAM) has recently launched a weekly audio broadcast, Michigan Mobile Musings (http://BlogTalkRadio.com/MTAM), hosted on BlogTalkRadio. The interview-format show will be produced and hosted by MTAM Ambassadors, Melissa Birnie and Lisa Kosak of Grand Rapids, and will feature guests from around the state. Segments are currently 30 minutes in length, but are planned to expand to 60 minutes in the future. As the state’s trade association representing mobile/wireless technologies, those who provide them, and those who use them, MTAM regularly seeks new ways to promote the efforts of its members, as well as to showcase companies throughout the state – in every industry – that are utilizing these technologies to improve the way we conduct business and live our lives. Weekly segments of the show will explore the diverse types of mobile/wireless technologies; how they’re being utilized in every industry including automotive, government, healthcare, manufacturing and many others; along with companies who are providing services from apps to infrastructure to hardware and more. Additional topics will include: upcoming events, industry trends, careers, education/training available and much more! Most in Michigan – and outside the state – have little or no awareness of the national and global leadership role that the state plays in many sectors of the mobile/wireless industry says MTAM’s Executive Director, Linda Daichendt. “Michigan is already a global leader in the Connected Vehicle space, we’re making tremendous advances in the mHealth space, and strong growth in the area of ‘Internet of Things’ is enabling Michigan firms to make significant impact in many other industries as well. It’s MTAM’s job to increase awareness of the exciting work being done here, as well as to showcase the way these technologies are creating jobs and having substantial positive impact on the state’s economy. The work Melissa and Lisa are doing with this show will greatly contribute to MTAM’s ability to put Michigan firms in the spotlight,” says Daichendt. Listeners can access the show on the BTR site at http://BlogTalkRadio.com/MTAM, or they may access the episodes via a ‘player’ on the ‘Mobile in Michigan’ page of the MTAM website at http://www.gomobilemichigan.org/about/mobile-in-michigan.html.Guests will also be able to add the ‘player’ to their own websites to promote their appearance on the show. Those interested in appearing as guests on the show should contact MTAM at info@GoMobileMichigan.org. 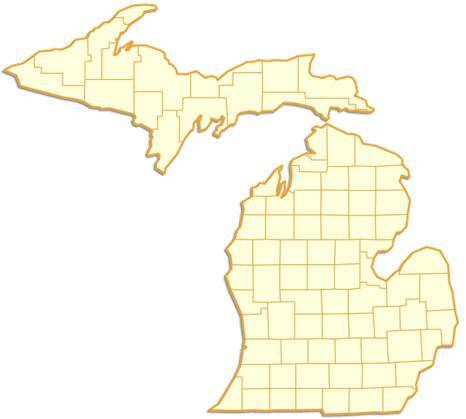 MTAM is a non-profit trade association for Michigan’s mobile / wireless industry. The organization’s mission is to facilitate conversation/collaboration between varied sectors of the mobile/wireless eco-system and serve as the bridge to enable diverse organizations to understand each other’s perspectives and needs in order to drive new innovation and opportunities involving these technologies; to increase the use of Michigan-based mobile/wireless technology products and services in-state, nationally and globally; to increase the productivity and profitability of every industry vertical in Michigan via the use of these technologies; to create sustainable jobs and increased entrepreneurial opportunities in the state based on the use of these technologies, thereby achieving substantial growth of Michigan’s economy; and to help the communities we serve via the use of these technologies. Information about MTAM can be found at www.GoMobileMichigan.org. MTAM is also the statewide producer of Mobile Monday Michigan – a mobile / wireless industry networking and education organization which is a branch of the international Mobile Monday organization. Here in Michigan we currently have 4 chapters (Detroit, Ann Arbor, Lansing and Grand Rapids) with over 2800 members state-wide. Many articles have been appearing lately discussing the lack of women available to fill positions utilizing mobile/wireless technologies – in every industry and at every level, as well as the possible reasons for lack of women choosing to go this direction. Given the large number of openings and tremendous shortage of skilled people to fill these openings, the problem is gaining increased attention – here in Michigan, as well as nationally – as employers seek ways to fill their ever-growing list of openings. Our education community is also seeing the challenge in recruiting women for mobile skills training where its available. Even Google has admitted that 83% of its tech employees are male. The numbers of women specifically in mobile/wireless tech careers are even lower, and harder to quantify. interested in learning more about mobile/wireless tech and the career and business opportunities it can provide. We will also be seeking participation from companies in every industry who are interested in aiding our efforts to bring more women into the mobile/wireless technologies field. This Council will be chaired by Janette Phillips, formerly the Executive Director of the Michigan Council of Women in Technology (MCWT), and currently the Director of Business Development for MTAM member firm, Chrysalis Global. We are currently seeking women who would have interest in being part of the Steering Committee for this Council who will help to define its Mission and Goals. Later announcements will be made when members are being accepted into the Council. If Steering Committee participation is of interest to you, please contact us ASAP at info@GoMobileMichigan.org. (Please note, participation in the Council and the Steering Committee does require MTAM membership. If you are not currently a member of MTAM but want to be involved, information about Business and Individual memberships can be found at http://GoMobileMichigan.org/membership). 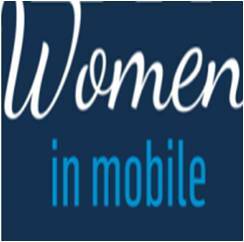 We look forward to hearing from you, and to working with you to build a broader array of mobile-related opportunities for women across our State while increasing awareness among women and girls regarding the career and business opportunities to be found in every industry as a result of mobile/wireless technologies. *Statistics from the Christian Science Monitor, ‘Why so Few Women in Tech’. 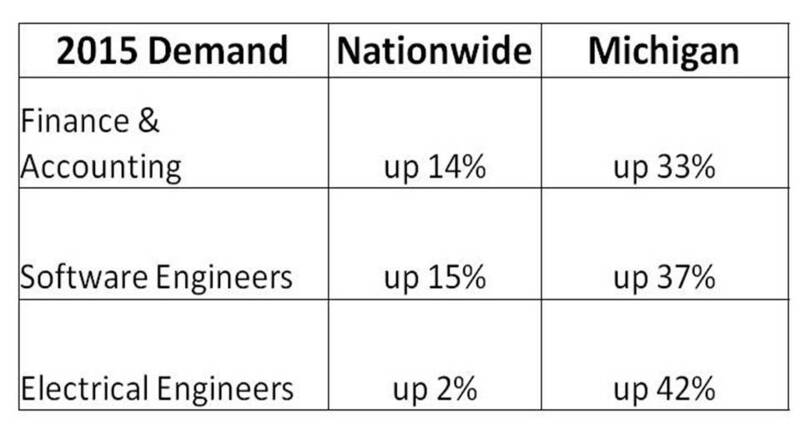 ** Statistics from TechRepublic, ‘The State of Women in Technology’. Are you a Michigan firm using mobile tech and exhibiting at CES? Are you a Michigan-based firm that is utilizing mobile/wireless technologies in some way within your firm, and exhibiting at the upcoming Consumer Electronics Show (CES) in January? If so, we’d like to speak with you. As the first state-focused mobile/wireless technologies trade association in the U.S., the Mobile Technology Association of Michigan (MTAM) provides a unique opportunity to help you promote your products/services not only statewide, but also nationally and internationally. Being a non-profit organization we are focused on increasing the use of these technologies in every industry in order to achieve job and business creation in Michigan which ultimately results in positive economic growth for the State. Therefore, if you are a Michigan-based firm, or a non-Michigan-based firm having a Michigan location, we would like to schedule time at CES for our representative to meet with you to learn about your products/services and discuss how we might be able to assist your business. Once we receive your information an MTAM representative will contact you to schedule a meeting at CES as long as slots remain available. We look forward to hearing from you and learning about the great mobile/wireless-related work you are doing in Michigan! This headline is terrifying to me! It stems from a situation at Rochester Adams High School involving 31 students – all 16 or younger – where several teens took pictures of a female teen – also under 16 – engaged in a sexual act; the photos were taken without her knowledge. That was bad enough – then they shared the photos with all their friends, who also shared them. You get the picture. See local news coverage HERE. As the leader of a trade association focused on increasing the use of mobile technologies, you might think that my next statement is an unusual position to take, but I feel it is a necessary one. In my opinion, as an industry, we must help parents come up with some sort of an evaluation tool to help them determine if their teens are utilizing mobile devices responsibly – before they do something which can adversely impact the rest of their lives. Until that tool has been achieved, to me the next best thing is to work with parent groups (such as PTA’s) to train them to effectively ensure that their teens and young adults are fully aware of the adverse results of inappropriate use of these devices, and then for parents to implement consequences for irresponsible use. or any other irresponsible use. Parents must become educated on the many ways technologies are being used by teens so they can effectively monitor their use and ensure that the devices are being used according the family morals and values that are being taught at home. They must also become aware of the legal implications of those irresponsible actions. I think it unlikely that any of those Rochester Adams High teens – or their parents – ever thought that there was a possibility that they could be looking at 10 years+ in prison because of an action they took with their mobile device. We all know, teens as a whole don’t tend to think about the long-term implications of the actions they take. Therefore it is up to the adults in their lives to help them understand the potential results of irresponsible actions in an effort to prevent them. The Mobile Technology Association of Michigan (MTAM) would like to assist in this effort and if any parent groups are interested in hosting a speaker on this topic, please contact us. We will work with you to make a speaker available to provide information that will help parents feel confident that they are doing everything they can to ensure their children are using mobile technologies responsibly. If this is of interest, please reach out to us at info@GoMobileMichigan.org or complete the speaker request form on our website. Linda Daichendt is the Executive Director of the Mobile Technology Association of Michigan, a Co-founder of Mobile Monday Michigan, a Co-host/Co-producer of the international mobile marketing podcast series, ‘The Mobile Marketing Review’ and a Co-host of the ‘This Week in Small Business Technology’ podcast series on the Michigan Business Network. She is also a Board Member for the Michigan STEM Partnership. Linda is an accomplished marketer and award-winning blogger, and one of Michigan’s leading proponents of the use of mobile technologies for businesses of all sizes – and in all verticals. She is a recognized business expert with 20+ years of corporate, small business and franchising experience. A 14-year resident of her adopted home state of Michigan, Linda’s daily focus is on educating Michigan business, government and education stakeholders about the opportunities that mobile/wireless technologies provide to substantially grow Michigan’s economy, as well as insuring the ability for all Michigan residents to benefit from the jobs and businesses created by mobile/wireless technologies. It seems like everywhere you go these days people are talking about connectivity; connected cars, smart homes, smart watches, etc. But what is not clear in all these conversations is what it all means – for our futures, for jobs, for our communities, etc. First, it might be helpful to understand that many different terms are being used to talk about just one thing – mobile technologies. Some call it ‘connected’, some call it ‘mobility’, some call it ‘wireless’, some call it ‘smart’ – at the end of the day, it all comes back to the same thing, new ways of doing things driven by many different types of mobile technologies. U.S. 4G wireless network investments will be up to $53 Billion by 2016; resulting in up to $151 Billion in GDP growth and up to 771,000 jobs being created. So what’s the bottom line on all this? JOBS! Lots of jobs, in every industry – tremendous numbers of currently available jobs going unfilled because we don’t have people qualified to fill them – and many future jobs you’ve never yet heard of because they don’t yet exist! And if connected technologies are creating all these jobs, obviously its in our best interest to make certain we have the people to fill them. This is an endeavor that the Mobile Technology Association of Michigan (MTAM) is committed to, and we’re happy to see that other organizations in our community are just as committed to this effort. We believe it to be very important to share the thoughts of other organizations involved in this work to help broaden awareness of what is being done, therefore below is a re-print of a recent article from Lisa Katz, Executive Director of the Workforce Intelligence Network (WIN) that first appeared in Crain’s Detroit. This article is re-published here with Lisa’s permission. We encourage readers to pay close attention to her message and to take it to heart. The sooner you, your firm, your educational institution, your government, etc. become involved in adapting to our new future, the sooner we all will reap its rewards! In just a five-year time period in Southeast Michigan, the number of online job postings for information technology jobs climbed 55 percent. This was just after the recession and leading into an economic future that, while arguably more stable, certainly has not been a boom time in our region. These new jobs did not come primarily from a core of NASDAQ-listed IT companies. In this region, IT job demand comes from numerous industry clusters: automotive, banking and finance, health care, and logistics, just to name a few. This is because information technology is being infused into nearly every facet of business and has become almost completely integrated into our daily lives. For example, this year it was announced that Roush would be assembling self-driving Google cars in Allen Park. WIN has participated in several meetings in the last year that explore how the region can capitalize on job growth. There are many new economic opportunities that come with the emerging (and possibly inevitable) connected automotive industry. Some experts forecast that by 2024, a driverless car will be optional for all new vehicle purchasers, and by 2044 they will be mandatory. Indeed, connectivity is changing the way we think about cars, but also life in general. Connected toothbrushes can tell us how long we should brush and whether we have missed a spot. Connected refrigerators can tell us whether it is time to buy new milk or whether the chicken is about to go bad. And the technology exists that would allow a refrigerator to transmit an inventory of needs to a grocery store, which then could have the necessary items delivered direct-to-home. Gregg Garrett, head of the local innovation-consulting firm, CGS Advisors, is fond of reminding me that, today, only about 1 percent of items that could be connected actually are. Of course, this will rapidly change. Technology has been shifting exponentially for years. According to one of my favorite videos, Did You Know?, in the year 1900, human knowledge doubled every 100 years, in 1945 every 25 years, and in 2014 every 13 months. By 2020, human knowledge will double every 12 hours, and by 2017, a supercomputer will be built that exceeds the computational capabilities of the human brain. By 2049, a $1,000 computer will have more computational power than the entire human species. Several other theorists, like Ray Kurzwell, who produced a great visual of this phenomenon, agree. So what does all of this mean for Southeast Michigan? First, while we cannot ignore issues like math and reading literacy, we certainly cannot ignore digital literacy. The very way we work will change as a result of technology, and if we do not embrace the idea that everyone can and should learn to be at least good users and navigators of technology (if not developers and creators), we do a disservice to our whole community. Efforts like the planning that will shape Mayor Duggan’s Detroit Innovation District can and should explore how to maximize opportunities for companies and workers in a new economy increasingly dependent on technology. Employers will need to make new investments in their workers. For example many companies spend more on coffee than on important training for their employees. Of course, workers will need to shift and commit to the idea of lifelong learning as being a given. Likewise, education and training institutions will need to shift the strategies and resources that help both of these groups adapt to ever-changing talent needs. We will have to teach our young people how to think creatively and flexibly, dealing with problems that have not even been defined. Schools, like Oakland University, already are teaching engineers and business leaders what the connected world will mean for the future of engineering and work in general: more people should be having this conversation. These ideas may sound like a tall order, but it is highly unlikely that the pace of technological change will slow. Without acknowledging that shift happens, Michigan’s lost decade could become a lost century for those who cannot or will not adapt. This conversation is happening now, and we must begin the conversation, set a vision, and pursue a plan that will secure Southeast Michigan’s place in a more connected future. Recently I read an article that discussed a skills program that had quickly been ramped up by a local community college to meet a training demand defined by a local non-profit group whose focus is on the fashion industry. 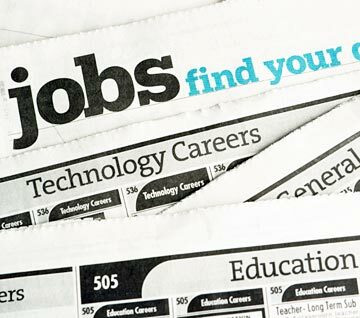 The jobs in demand were for Industrial Sewing where Salary.com indicates the median annual salary is $24,674 and those on the high-end still make less than $35,000 per year. See the article HERE. I also recently read an article about a fashion incubator that launched in Lansing which also discussed the fashion training programs that currently exist at: Michigan State University, Grand Rapids Community College, Central Michigan University, Eastern Michigan University, and Lansing Community College. Frankly, I was a bit dumbfounded by both articles – but let me explain why. First, let me be clear, I certainly don’t want to be perceived as saying that there is no need for these training programs or the incubator, nothing could be further from the truth. Fashion talent can come from anywhere and I know we have firms here in Michigan that are gaining well-deserved recognition in this area. HOWEVER, I would be very interested to see the statistics on the number of jobs this industry can conceivably create in Michigan, the income those employed in it will earn, and what the actual economic impact can possibly be on the state. Let’s face it, this isn’t New York or Paris! Unless I’m greatly mistaken, fashion is never going to be a major economic driver in this state and I am perplexed about why so much effort and resources are being put into an industry which will likely yield minimal impact in jobs creation, business start-ups or economic development. On the other hand, if our education, government and economic development communities are REALLY interested in providing training for jobs that are already driving substantial job creation, new business start-ups and economic growth for the state, and where study after study indicates that job growth and business development opportunities will continue to grow – perhaps they should look at mobile/wireless technologies that are impacting literally EVERY industry in our state. Wouldn’t you want these opportunities to be in Michigan? Suffice it to say that the opportunity for Michigan is unparalleled, but our government, civic, economic development and education leaders can’t seem to see the forest for the trees. For some reason when we talk about the economic opportunities to be gained from these technologies, they assume we are talking ONLY about mobile app development – even though we clearly say otherwise – and that is pretty much the ONLY area of mobile/wireless technology that anyone is even attempting to provide training in. And yet even the available mobile app development training is only a drop in the bucket compared to the need in that particular segment of the industry – even here in Michigan. We’re not coming close to meeting an already critical need for employees to fill mobile/wireless-related jobs, but yet we’re investing resources instead into an industry which will have minimal impact. Think about it; for the last year it seems like everyone in Michigan is talking about ‘the connected vehicle’. But, did it ever occur to you that ‘connected’ means mobile/wireless technologies, and that the type of jobs involved might include: manufacturing, software development, quality control, equipment maintenance, installation, research, marketing/advertising, training, customer service, tech support, sales, and much more? Within just the automotive industry can you begin to conceive how many jobs in this State will be impacted by these technologies? All of these industries are being substantially impacted by mobile/wireless technologies now – and will be impacted even more so as we move forward. In fact, it is becoming increasingly evident that the next few years will show in history that mobile/wireless technologies are similarly impactful to the global economy as was the Industrial Revolution in the late 18th century. Again, as I said earlier, I’m not against investing in Michigan’s fashion industry, or other’s like it that have some potential. What I am against is the complete lack of attention that is being paid to a group of technologies that are already contributing to this state’s economy via every industry in this state in a significant way. We collectively need to open our eyes before this incredible opportunity passes by the State of Michigan and instead goes to a state that is more open to understanding how imperative it is to act immediately and jointly, not as separate industries or as separate geographic areas in the state. Our unique strength which will drive our leadership position nationally and globally will be our ability to work together – cross-industry and statewide, and to ensure we have the education infrastructure in place to enable us to fulfill the employment pipelines in every segment of every industry where these technologies are being utilized. To facilitate this, our Education, Government and Economic Development communities need to understand that mobile/wireless technologies require training other than Mobile App Development. Every Career Major at every community college or university should be including training on the use of mobile/wireless technologies within that industry as part of the curriculum. We at the Mobile Technology Association of Michigan (MTAM) are dedicated to putting Michigan in a position to be the national and global leader in many areas of the mobile/wireless technologies field. We have many initiatives we are working on with partners who understand the opportunity – but MANY more partners are needed; from government, non-profits, education, economic development, foundations and business. If you would like to be involved or you would like more information, please feel free to reach out to us at info@GoMobileMichigan.org.